GBG Reconstruction | What's in a Warranty? Using Warranties to suport your HOA's Plan for the Future. Using Warranties to support your HOA’s Plan for the Future. warranties work, we can then demonstrate their effectiveness in long term planning. The following are some examples of the most common warranty coverage. First is the product warranty, you receive a part or product that either arrives or once opened is faulty or broken and the supplier replaces it immediately at no cost. Typically there is indisputable evidence of damage or failure and that it never performed for its intended use. The damage, defect or product failure is usually obvious and visible. 1. Example: You purchase a lamp and upon delivery or opening the box, the stand is cracked and broken in half. demonstrated. Example: You order a window that visibly looks intact and functional, but very quickly demonstrates a failure. When water is applied it leaks at the seal, glazing, frame etc. a. This type of product failure may or may not have a time frame requirement. b. They type of product failure must demonstrate it was not an installation issue. they ship, not when your installation begins. are obligatory to satisfy the manufacturer warranty. 2. Original Owner Only Warranty: This is often a condition made by the manufacturer where the warranty only exists for the original purchaser. An example would be a homeowner that purchases “lifetime guaranteed” windows, but it is only valid for the original homeowner. 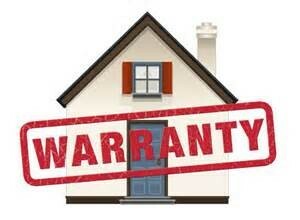 If the house is sold, the warranty ends there. as a periodic maintenance upgrade. 1. Example: When purchasing a new washing machine, you are offered an extended warranty for at additional cost. deck coating system. Thus, you get an additional 5 years for half the cost. warranty are included within their original contract for service. It typically includes a time frame, and any specific limited liability related to the product. 1. Example: You contract with a service provider to replace a window. Once installed, when water is applied to the window it leaks. The Contractor must now determine why the window is leaking. Is it the product itself that’s faulty (see above), or if they installed it incorrectly. If the Contractor determines they installed it incorrectly, they simply repair the installation at no cost to the consumer. If the Contractor determines it is the product, then they must determine if it is still inside the warranty period and contact the supplier or manufacturer for warranty activation. Or A traditional Deck “don’t fix it until it’s broken” program. So the HOA would have a savings of $1,300.00 for the same warranty period. By putting the regular inspections and repair and maintenance and employ. Whenever a new system is installed the HOA renews their reserve study. depends on individual circumstances surrounding the failure. Contractor findings and notify the Homeowner that the Contractor is responsible. mean they won’t honor a warranty on a system that is not specifically supported or made by their company, or it may mean they’ll insist on installing the product themselves. Another dangerous phrase is “We reserve the right to substitute equivalent items”. This means that instead of getting the same high-quality name-brand products you originally requested; you may end up with generic products which theoretically equivalent according to the spec sheets, but perhaps more likely to fail the day after the warranty expires. Substitution can be interpreted as “bait and switch”, so most vendors are scared of getting called on this. Very few will hold their position if you press the matter. 1. Read the fine print! 2. Who is backing the warranty? 3. What does the warranty cover? 4. How long does the coverage last? 5. Is the company backing the warranty financially stable? product performs as advertised, it won’t need an extended warranty. options if a part doesn’t work. Avoid any company with this policy. 8. Only buy from reputable suppliers. Avoid the Flea market mentality. 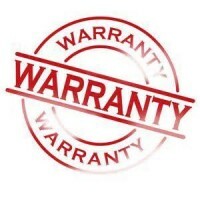 So take the extra time to review the fine print and know what is offered as warranty coverage. steps and considerations will steer you to the best decision for you.